Need help picking out where to go for dinner? Picking out a cool spot to dine out is always tricky, especially when there are hundreds of places to dine out in the Tampa Bay Area. In the past year I have been on the hunt to find unique and local restaurants that serve delicious food and provide a great atmosphere to get together with friends, family or your significant other. Here’s a list of some great food places in the Tampa Bay area. Datz is probably one of my favorite finds in Tampa. 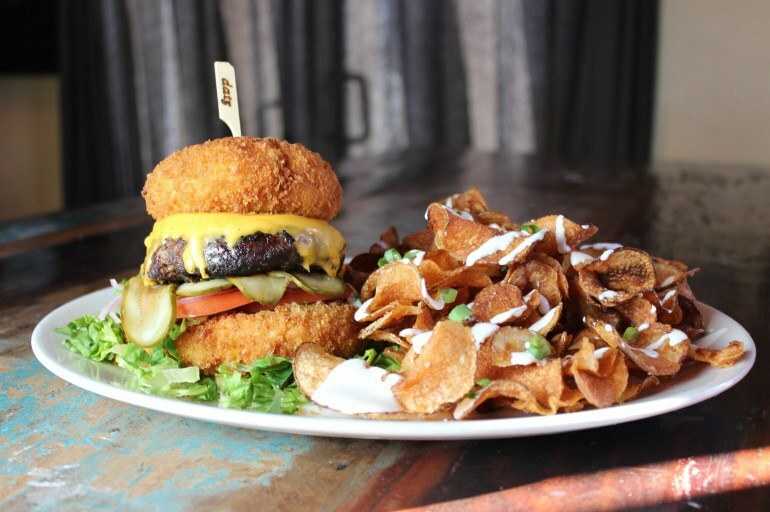 With an eccentric menu with things like burgers with mac 'n' cheese buns, or a doughnut burger. The atmosphere is unique and gives off an urban and hip feeling. After an amazing meal at Datz you can stroll on over next door to Dough and end the night with a delicious treat. Dough is owned by Datz. Dough has a bright and colorful interior. You can make a choice of a variety of unique and delicious treats such as Lucky Charms Cheesecake, S’more’s Doughnuts and Fruity Pebble ice cream. If you do stop by what all the hype is about on the ice cream doughnut cones. If you really want to expand your taste buds, Dough is the perfect place to go with friends, family or your significant other. 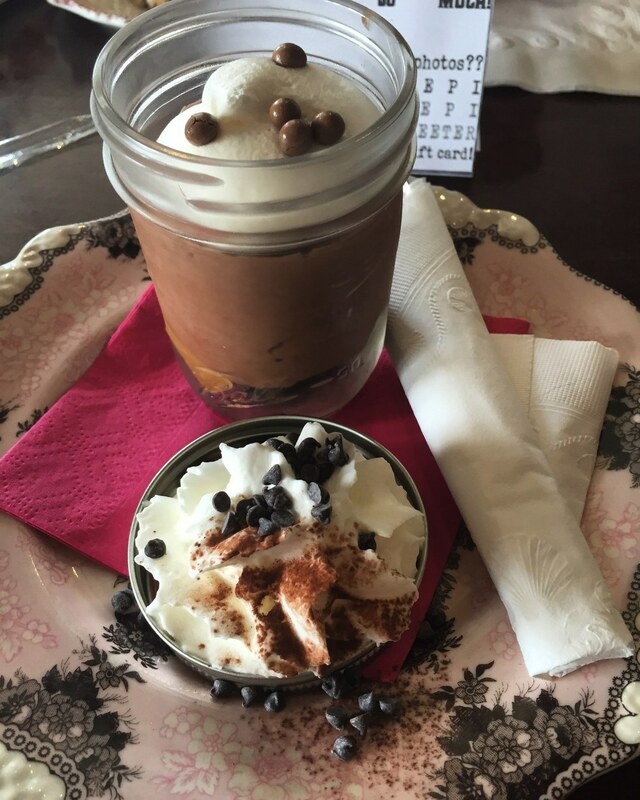 If you are a chocolate aficionado like me, then Chocolate Pi is the place for you. This small and dainty restaurant located in South Tampa. Here they make homemade sodas on the spot, and with a menu that changes constantly you have to opportunity to try something new each visit- or stick with your favorite treat. Here I highly suggest trying one of their Mason Jar desserts where they layer different ingredients like brownie, salted caramel, vanilla bean custard or toasted meringue. 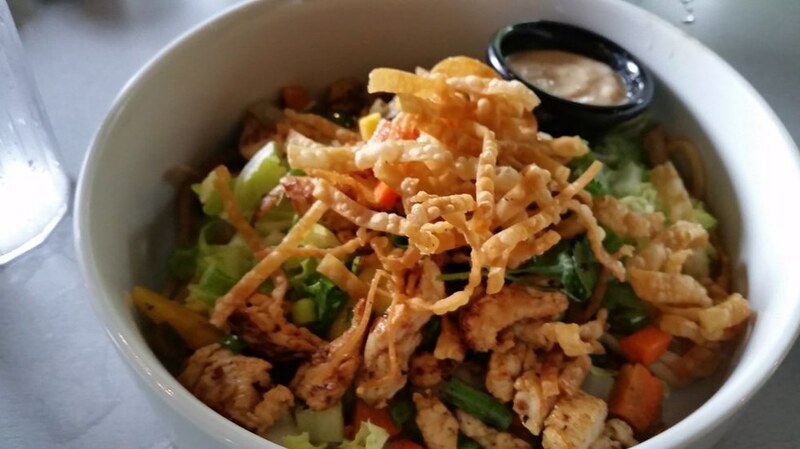 If you are looking for a lighter, healthier meal Ciccio’s is known for their variety of different bowls that are bursting with flavor from the "Gigante" with avocado-glazed buffalo chicken, to the Vegan bowl containing a medley of fresh veggies topped with a lemon agave vinaigrette. In addition to their bowl culture they offer other options like stir-fry, wraps, salads and pizza. On the weekends they offer a brunch menu with options like an amazing French toast waffle pretzel or their new gluten free pancakes. 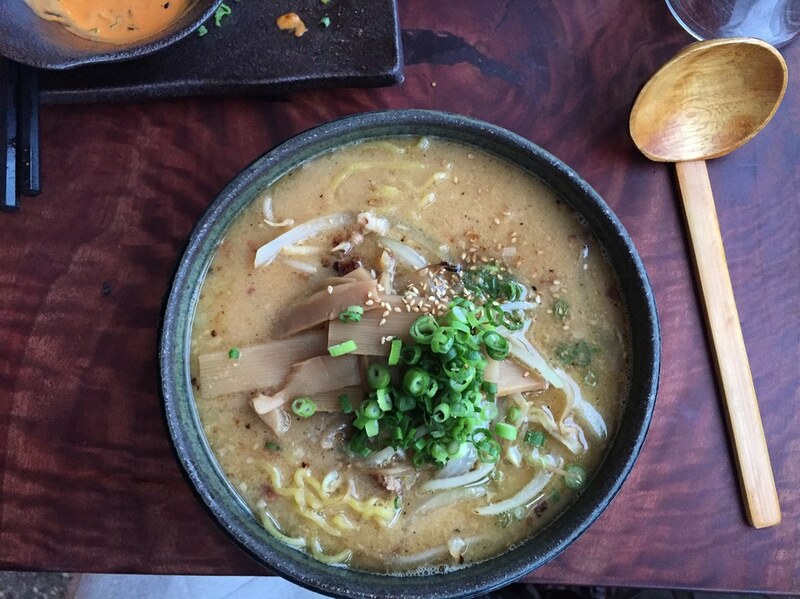 Instead of your ordinary ramen packets from the grocery store head on over to Ichicoro where you can try a big and flavorful bowl of freshly made ramen. The ambiance is very urban and upbeat, however they have a six person per party limit, making it a good date spot or place to catch up with a close friend. Now if you are a New Yorker like me, you would truly appreciate Eddie & Sam’s. They are located a block from the Riverwalk and Curtis Hixon waterfront park in downtown Tampa. 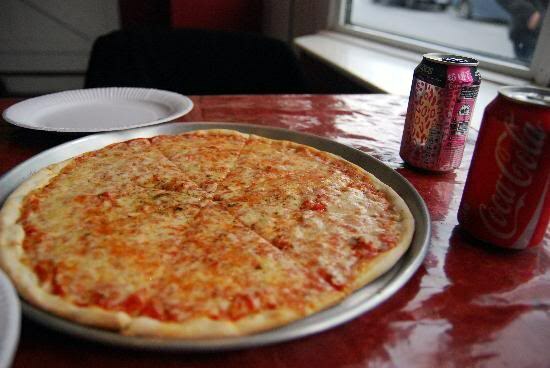 What makes Eddie & Sam’s one of the most authentic and unique place in Tampa is the fact that they have water shipped from New York City to make their pizza dough — if that isn’t authentic then what is? Oxford Exchange, or OE, is located across the street from the University of Tampa. Oxford Exchange is popular for their wide variety of coffee and tea. The atmosphere of Oxford Exchange is very light and modern, with a conservatory with live plants and natural sunlight. 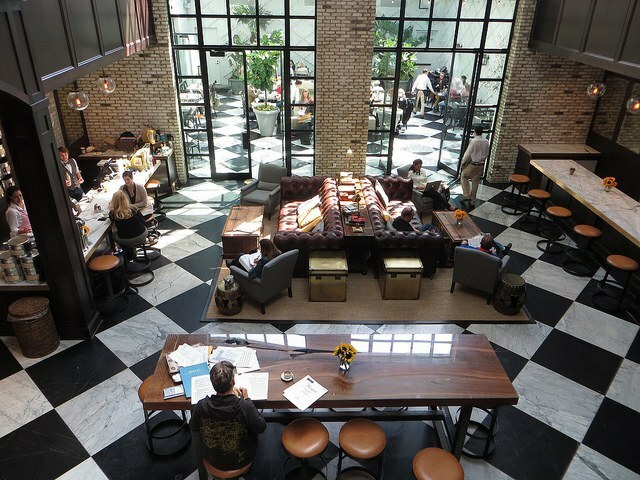 Oxford Exchange is a great spot to have brunch with the girls or celebrate a birthday. If you are not in the mood for eating you can study in their lounge or browse their store located in the front of the building.